We love fast wagons, and for all you Jalops in the Great White North here is an opportunity to purchase the original performance long-roof. This wonderful marriage of Porsche and Audi is covered in iconic Nogaro Blue is listed for sale on VWvortex.com. 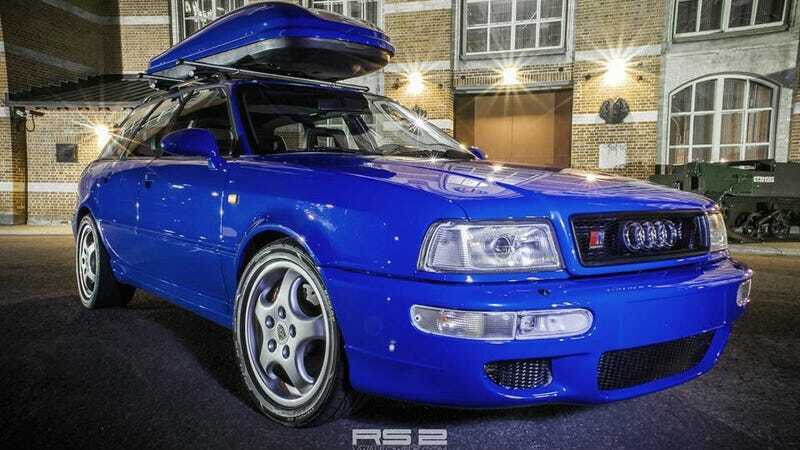 This 1995 RS2 Avant has 37k km and is listed for $56k CDN (aprox. 52k USD). That is a lot of money for an almost 20 year old Audi, but this special wagon has been very well maintained with numerous subtle upgrades. I have a weakness when it comes to Audi wagons. Therefore, it is a good thing I don't live in Canada, because my wife would file for divorce once she found out I liquidated our savings to buy this.